DVV Cabling was founded in 1994 and later became a limited ( Ltd.) company in 2003. 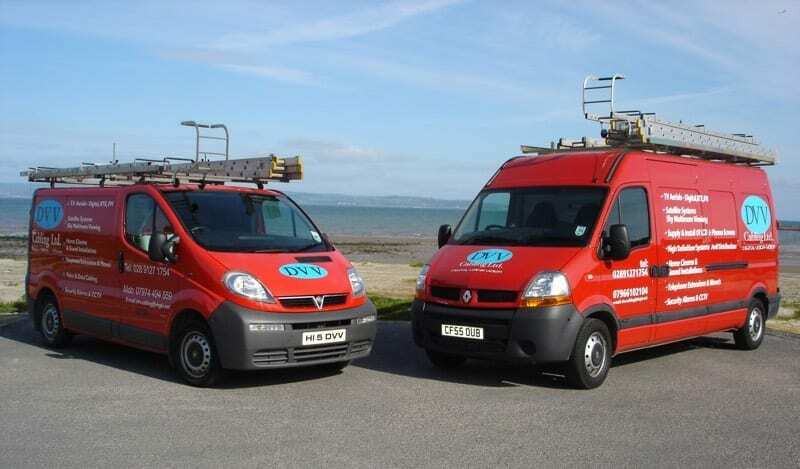 DVV Cabling Ltd is based in Bangor, Co.Down and is a leading provider for aerial and satellite system’s for many local hotels, apartment blocks, bar’s and shops across Northern Ireland a list of which can be viewed below. We also specialize in home cinema and sound installations and currently have a large demand for a multi-room entertainment system and high definition (HD) distribution. Our business currently also has a very high demand for the installation and upgrading of new and existing properties for Digital t.v viewing, together with installing Digital Communal TV and Satellite Systems. DVV Cabling’s reputation is built on the thousands of satisfied customers and a genuine desire to be the best. We are proud of our extensive list of Products and Services, aimed to meet all our customer requirements.